LAN Monitors range in complexity from packet sniffing tools through to full network administration systems. The key tasks when managing a network are the ability to keep track of facility utilization, ensuring equipment doesn’t get overloaded and the ability to monitor and ensure all equipment is operational. LAN monitors keep you informed in real time so that you can head off problems before they impact performance. As your network probably contains equipment sourced from a range of manufacturers, you don’t want to be tied into a proprietary system for your LAN monitoring tools. It is important to check that the monitoring system that you buy is compatible with all of the networking equipment you already have. Although wireless networks are not officially part of the definition of “LAN,” getting a monitor that can also include your wifi router is also a good option to look out for. SolarWinds Network Performance Monitor (FREE TRIAL) – This is the key tool in the SolarWinds stable of infrastructure management utilities. It communicates with connected devices via SNMP and runs on Windows Server. Paessler LAN Monitoring with PRTG (FREE TRIAL) – This tool monitors servers and applications as well as LANs. It runs on Windows and includes sensors for traffic monitoring as well as network device health checks. SolarWinds Flow Tool Bundle (FREE TOOL BUNDLE) – A trio of utilities that assists you to test the capacity of your network. OpManager – A comprehensive network management system that installs on Windows and Linux. The tool uses SNMP to check on network devices. Nagios Core and Nagios XI – Paid (Nagios XI) and free (Nagios Core) versions of a network monitor that is suitable for small and middle-sized companies. Pandora NMS – An SNMP-driven network monitor that includes IP address management and configuration management modules. Zenoss – Available in paid and free (Zenoss Core) versions, you can opt to run this network monitoring software on-site or access it from the Cloud by subscription. Dynatrace – A network connection monitor that also covers server and device statuses. ConnectWise Automate – A network monitor that includes automated actions that get triggered by status alerts. Zabbix – A free open source network monitor that uses SNMP to track network device statuses. WhatsUp Gold – A paid network monitor that installs on windows and uses SNMP for status monitoring. Business LANs range in size from small networks incorporating just a few computers, a printer, and a modem to multinational corporate systems that cover many sites. Multi-vendor compatibility — the monitoring system should be able to communicate with all your existing equipment. With these criteria in mind, we have assembled a list of the best LAN monitoring tools. SolarWinds is one of the big hitters in the LAN technology market at the moment. The company produces a range of products for network administrators that can be bought individually, or assembled together to form a complete network management system. You don’t have to commit to buying all of the other modules in order to use the Network Performance Monitor, but you may be tempted to take a look at the other SolarWinds utilities once you have gotten used to the LAN monitoring tool. The key feature of this tool that makes it a winner on our list is the well-organized dashboard. 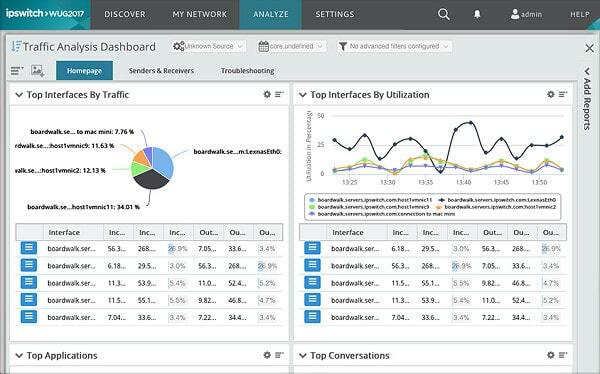 You get an overview of the whole network’s performance with just one glance at the user interface. Real-time metrics on network activity are made instantly visible by graphic presentations, including pie charts and line graphs. If you are responsible for several sites, you can extend the competence of Network Performance Monitor thanks to its remote monitoring capabilities. This way, you can manage all of the devices in your WAN from one central location. One of the four panels of the Summary view includes a list of critical conditions that have occurred in the day. Live data that feeds into this summary page comes from the SNMP methodology. 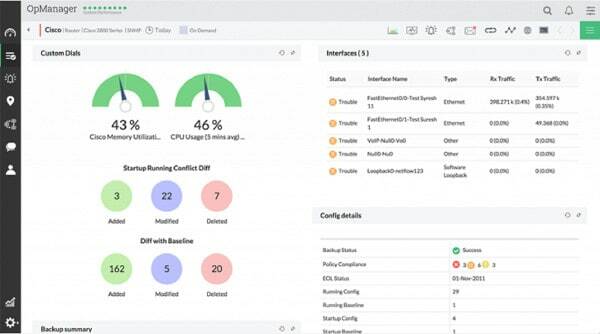 Most new network-compatible equipment comes with SNMP functions pre-loaded in the firmware and the SolarWinds Network Performance Monitor automatically detects and interacts with device agents to keep you informed of equipment status. Those real-time status alerts are the core of the monitoring system, but you don’t want to be swamped by every status message that feeds into the monitor. The interface can be customized to filter status alerts and notify different team members according to different network activity conditions that might arise. This helps you to manage your time more effectively if you are in charge of a large network, supported by a group of specialists. This facility is particularly useful if a lot of your hardware support is outsourced — the Network Performance Monitor directly notifies the service provider, so you don’t need to waste time putting in calls for support. The monitoring package manages wired and wireless networks. 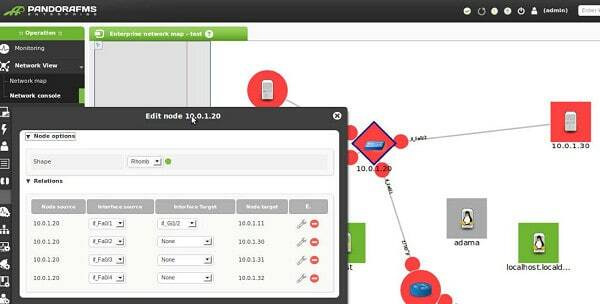 You can drill down to get details of each node on the network to examine problems and keep track of utilization. Again, the node detail screen has graphic displays to give you a full picture of performance at a glance. The SolarWinds Network Performance Monitor is aimed at large corporate networks, with the entry-level system coming in at $2,895. Prices increase according to the number of nodes on your network. So, if you only have a small network and a very tight budget, this comprehensive LAN monitoring tool is probably not for you. SolarWinds Network Performance Monitor: This tool has a slick dashboard that gives you an overview of your whole network’s performance with just one glance. The Paessler PRTG system covers server monitoring as well as LAN and WAN supervision. 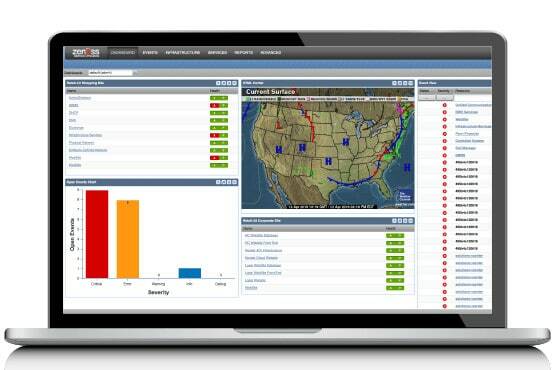 The underlying technology that drives this monitoring utility is the NetFlow system. This is able to track packet transfer rates around your network in real time. A drill down utility to get a look right down at protocol level is provided by a packet sniffer utility. Monitoring isn’t just a task of watching the traffic go by, however. The Paessler PRTG LAN monitoring functions rely on SNMP to provide alerts to hardware statuses. The alerts provided by SNMP enable network administrators to stay ahead of crises. You can save a lot of money on your support desk if you can stay ahead of hardware failure and fix it before user calls start to get out of hand. A great benefit of SNMP is that it uses very little bandwidth, so your monitoring with this suite will not slow the network down. The dashboard of the Paessler system is a great user interface that includes graphs, charts, and dials to give you instant information on the overall status of your network. You can query individual nodes on the network to get instant status reports containing live data. Those device-specific pages contain easy-to-follow graphics and the whole dashboard can be accessed from any computer on the network as well as tablets and smartphones. PRTG is particularly powerful for multi-site operations that include internet connections and cloud services. You can centralize all of your network management functions in one location, accessing each individual site LAN remotely, thanks to Paessler’s Remote Probe technology. PRTG will also monitor your wireless networks. A Paessler PRTG install is very heavily guided. A lot of the installation procedures are automated and the integrated network discovery feature gets your topology mapped automatically. The LAN monitoring tool includes templates that gather status information on each device. That brings a standardized format to your monitoring effort, enabling you to pay equal attention to all of the equipment on your network. Many aspects of the PRTG monitoring system can be customized, giving you the notifications and statuses that have become critical to the success of your network. Paessler’s PRTG free trial allows for an unlimited number of sensors but is only available for a 30-day period. There is also a freeware version – aimed at assisting small businesses as they grow – which currently allows for up to 100 sensors to be used for an indefinite amount of time. The Flow Tool Bundle from SolarWinds is a set of three network traffic analysis utilities. This pack is completely free of charge. Network performance monitors usually focus on the statuses of network equipment; network traffic analysis tools, such as this one, look at the volumes of traffic that pass along the network cable between devices. You don’t need to put a network tap on the cable to see that traffic in transit because all packets flow along the cable between two network devices. So you can get an understanding of the events on the cable by looking at the flows of traffic on the network equipment at either end. The NetFlow Configurator acts as an interface to all your Cisco routers. NetFlow works on IP packet headers, so it is a relevant function of switched. Rather than logging in to each router in turn and working through the router manager menus, you can just use this simplified front end that narrows down all of the functions to just turning on NetFlow capabilities and directing that traffic to your NetFlow collector. This acts as a great time saver. The NetFlow Replicator tool takes your saved NetFlow data and replays events on your network. This enables you to get a look at traffic in a replay. This saves you the worry of having missed the reasons for any slow down or failure that might have occurred while you were out of the office or away from your desk. 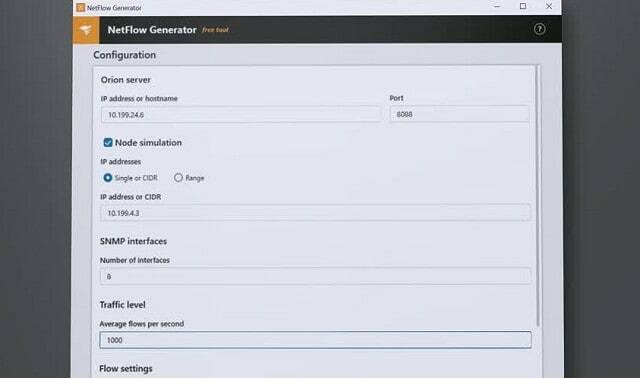 The NetFlow Generator creates fake traffic to give you extra volume to run around your network. This is a great exercise if you plan to increase services or add extra endpoints to your network that would result in greater traffic volumes. You can test the performance of your load balancers, firewalls, and network performance monitoring alerts before planned changes occur. The Flow Tool Bundle helps you head off disaster before it happens. You don’t get any graphical data representations in this tool, but you do get the opportunity to test your network on your own time to prevent things going wrong when you are occupied elsewhere. The Flow Bundle is offered as a free utility. OpManager is produced by ManageEngine, another significant player in the network software industry. You can get a free version of the OpManager system to get familiar with its features and get your small enterprise’s network properly monitored. You are allowed to monitor up to ten devices with the free OpManager. However, you still get the same level of system notification that users of the paid version get. The engine of the monitoring methodology uses SNMP. This is built into all new network-compatibility hardware, so you will automatically be able to get real-time feedback on network activity from all of the devices connected to your network. Another common technology that underpins the OpManager system is the NetFlow traffic monitoring methodology. Whether you are using the free system, or if you have opted to pay, the software can be loaded onto Linux or Windows. It includes the capability to interact with SQL-based databases and MySQL, Active Directory, and Eventlog. If you are looking into buying the OpManager system, you have the choice of two plans: Essential and Enterprise. You can manage up to 1,000 nodes with the Essential plan and up to 10,000 with the Enterprise package. Both of these options can extend their monitoring to WAN and voice systems with remote monitoring and QoS functions. A feature that you don’t get with the free version of OpManager is the auto-discovery utility. 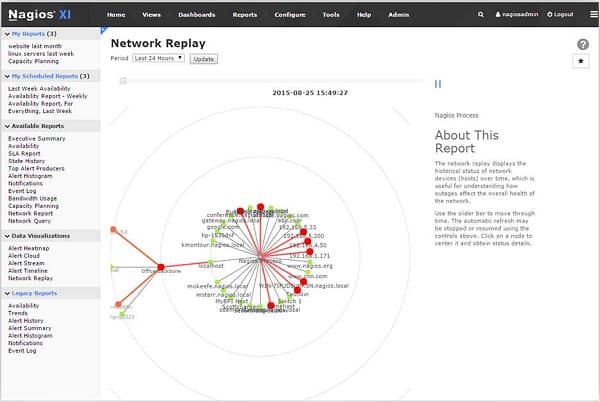 This will map your network and present it in a nice graphic in the dashboard. The map displayed on the screen is based on a real map of the world, so you can get a visualization of your entire network even if it is global. The top strap of the dashboard’s main page is packed with miniature graphs, charts and dials. Although each of these will go full screen if you click on them, the color coding of those icon displays makes it very easy to get a quick overview of the network’s status. The dashboard includes device drill-down and you can get an app for tablets and smartphones to access network status information wherever you are. The presence of the free OpManager is great news for small enterprises. However, it will be a bit of a leap to hop up to the paid version. It would be nice if the company offered an entry-level package that would cover something like 400 or 500 nodes to help small enterprises stay with the OpManager system as they push into middle-sized enterprise territory. Nagios manages open-source network monitoring software, which is completely free to use. The interface for this free system, which is called Nagios Core, is not very comprehensive. You get a basic web interface with the main download, and then you can search through the Nagios Core community pages to look for plugins and skins that other users have developed for themselves and are willing to share. The Nagios Core system is a great option if you have no budget for LAN monitoring tools and you are prepared to compromise on presentation. There is a free version of Nagios XI that is free with limitations — you can only use it to monitor seven nodes. However, this offer, together with two grades of paid usage, means that Nagios XI is suitable for all network sizes. The Standard paid version is available for $1,995 with a minimum of 100 nodes on the network, and the Enterprise edition starts at $3,495. That is a one-time purchase price and includes access to email support and community forums. You can pay extra for phone support. The buyers of the Enterprise editions are obliged to subscribe annually to a maintenance plan or a maintenance and support plan. With Nagios XI, you get the real-time monitoring capabilities of Nagios Core, but the data that is collected is managed, presented and filtered in a much more digestible format. The graphics in the dashboard do all of the work for you. You can see instantly where there are problems on the network. The pages of the interface include charts, graphs and dials that help you get performance data at a glance. The Nagios XI system is easy to set up because the software includes auto-discovery, so it maps the network by itself. This feature is very useful when you add equipment to the network. A Configuration Wizard helps you to get the interface operating to your tastes. You can create user groups and individual accounts to delegate partial access to data among team members. Nagios is able to monitor equipment on remote sites and you can deepen your remote monitoring capabilities for server physical statuses by installing the Remote Program Execution agent on those servers. The range of subscription options, including Nagios Core and the free version of Nagios XI for small networks, means that this system is truly scalable. Nagios Core upgrades to Nagios XI with just a software install. When you switch from the free Nagios XI to the Standard version and then up to the Enterprise package, you don’t lose any of your customizations. This is a very good feature for rapidly expanding companies. A Pandora NMS install begins with a network sweep that enables the system to map your topology. The network map is just one of the graphics contained in the dashboard that helps you keep track of the system at a glance. The monitoring functions of Pandora NMS is based on SNMP procedures. Your central network manager node will poll the system constantly to keep track of device statuses. Standard SNMP alerts report critical conditions as they arise without waiting for a status request from the network manager. The Pandora engine is able to communicate with devices using SNMPv1, v2c, and v3. The Pandora package doesn’t just cover real-time network monitoring. The wider system, called Pandora FMS, includes address management as well with a built-in IPAM. The IP address manager can operate with both IPv4 and IPv6 addresses. The third element of Pandora FMS is its configuration management system, which can keep track of your company’s software patch status and detect rogue software on the system. Whether this combination would be of interest to your depends on if you already have a DDI suite and configuration management system with which you are happy. However, if you are looking for an entirely new networking toolkit, this option could work out well for you. If you have a multi-site network, you can centralize all of the management of your organization’s WAN into one location through remote monitoring. 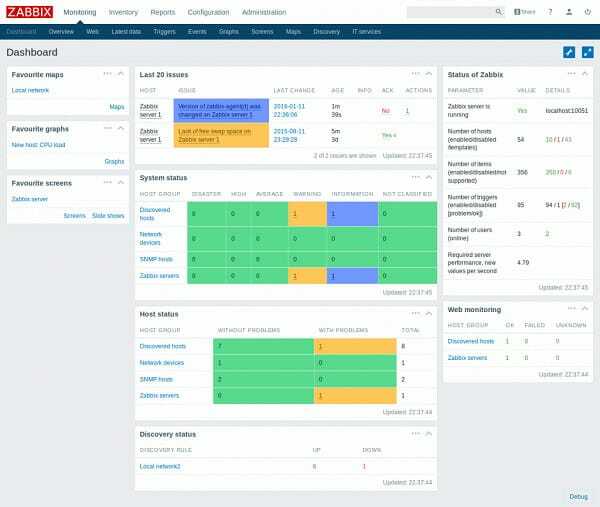 However, it is possible to divide up the responsibilities and system access in the dashboard to limit onsite managers’ access to just their subnets — the dashboard’s contents are fully customizable. It is also possible to define roles within the console to give partial access to the controls of the dashboard, enabling junior staff to safely participate and upline managers to access reporting functions. Pandora NMS is a Spanish product and its prices are set in Euros. The basic network monitoring software package is available as a “Community” edition of its open source software for free. The full-feature Network Management System starts at €2,625 and the price increases with more network nodes. That price includes a maintenance and support package for one year. An Enterprise solution for large networks includes cloud-service tracking. That plan starts at €3,750 for the first year, with a year’s support and maintenance included. Some extra features are available as added extras, but are included with the Enterprise plan. They include remote access systems and SAP monitoring. If you need those, you might consider upgrading to the Corporate plan where those extra features are included in the price. The Corporate package is priced by negotiation. Zenoss Core is an open source network monitoring system that you can install for free. There are two paid versions of this real-time network monitoring and analyzing software. You can get an onsite version, which is called Zenoss Service Dynamics, or you can have a managed cloud-based service, called Zenoss-as-a-service. Whichever option you go for, you will get an auto-discovery module. This automatically maps your network topology and logs all of the devices connected to the system. You are allowed up to 1,000 network devices, but with both of the paid services, the number of devices you can have is unlimited. The monitoring doesn’t just limit itself to standard network equipment, terminals and printers. It will also monitor power supplies, server racks, ports, fans, and fabric cards. The network monitoring system is based on SNMP. This is great because it means that you get automatic compatibility with all new equipment currently manufactured with network connectors. SNMP alerts provide device failure notification that feeds directly into the dashboard. Traffic flows around the network are monitored by NetFlow. Whether you choose to use the onsite system or the cloud-based version of Zenoss’s LAN monitoring service, the dashboard is web-based, which means that is can be accessed from any GUI operating system. You can extend the capabilities of Zenoss to cover multiple sites and institute remote monitoring by installing collectors on each site. The standard monitoring software can be expanded by ZenPacks. These are notification add-ons that cater to specific hardware produced by a range of well-known equipment manufacturers. You don’t need to install all of the available ZenPacks. However, knowledge of the existence of a ZenPack for a specific device will make it easier to buy in new equipment for your multi-vendor environment. All flavors of the Zenoss network monitoring software include server and storage monitoring functions and they all also include IP address management functions. Dynatrace is different to all of the other network monitoring systems on this list. It focuses on the performance of network connections rather than on the statuses of devices connected to the network. The graphical representations of the network are stunning and they can highlight where physical cabling got overcomplicated, giving you an overview of how you can better lay out your network. The real-time network monitoring extends to virtual environments. As with the physical network, Dynatrace will discover your connections and map them. The layout of the virtual environment shows you how much traffic each of your virtual machines attracts, giving you a better chance of right-sizing capacity. The nodes mapped as part of the virtual environment can also include any cloud services that your business employs. 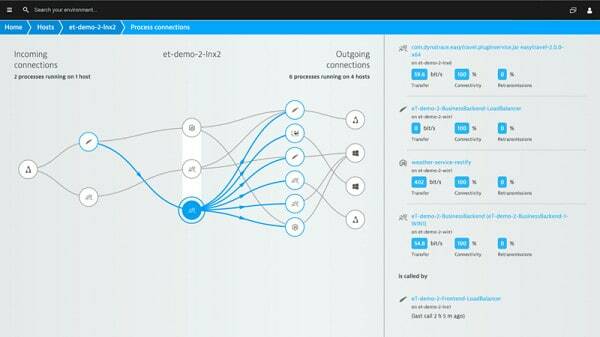 Dynatrace analyzes network traffic at the process level. You will be able to see which processes use the most resources and which aspects of your infrastructure are being strained. Apart from network resources, Dynatrace presents server utilization metrics, including memory, disk, and CPU usage. The Dynatrace system would be ideal for online businesses. You can track application performance and see how each user’s activities ripple through to software activation, process network activity, and resource usage. The representations of network activity rely heavily on mapping. This is a fairly unique approach to performance monitoring and is very effective. The focus on process flows rather than equipment performance makes this more of a network analyzer rather than a straightforward monitor. If you looked at the other network monitors on this list and decided that they don’t really give you the details on flows of data that you were looking for, then Dynatrace is probably the answer to your problem. ConnectWise produces a range of networking services and its network monitoring system is called Automate. This cloud-based solution is aimed at small and mid-sized businesses. The company doesn’t publish its prices on its website. Instead, you have to contact a sales representative to negotiate a quote. The secretive pricing method can be a little off-putting for entrepreneurs. The Dashboard offers several view formats for your data, so you can just watch plain lists of events or get graphical displays of live data. The Automate name explains the operating methodologies of the package. The idea is that this monitoring system will do everything for you, including network discovery and user tracking. A number of extra enable you to run a lot of network administration tasks on auto-pilot. For example, version control is not normally a function expected of a network monitoring system. 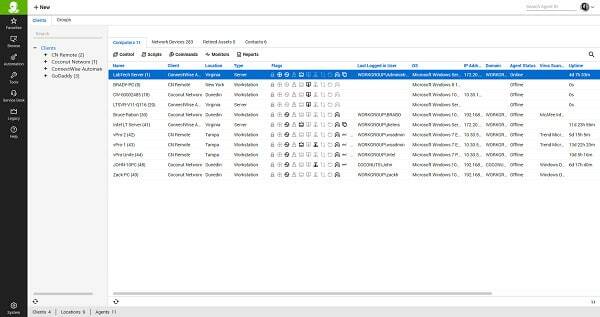 However, Automate includes a patch management tool, which logs all of the versions of the software on your system and enables you to update all of it from one central location. ConnectWise Automate is not limited to a single site. The software is able to serve an MSP’s multiple clients and their many networks. Automate can monitor multiple locations based on an IP range as well as incorporate subnets of those client networks. Remote management tools, such as ConnectWise Control, are included with the purchase of ConnectWise Automate.This could be a good solution for a software or IT service provider because it gives your IT department full user support capabilities, not just a network monitoring software. Zabbix is another open source system. A benefit of open source software is that anyone can produce add-ons. The core program is available for free and so are most of the add-ons. Despite being free, the dashboard has a very professional look to it. You can switch out elements of the dashboard to get your most important information visible in the most prominent areas of the screen. Dashboard features include lists of live event data, graphs, and color coding to make important information instantly recognizable. The real-time network monitoring module of Zabbix relies on SNMP, so you will be able to benefit from the device agents that your equipment already has installed by its manufacturers. The Zabbix system can monitor cloud services, application performance, hardware such as racks and UPS, and servers. The system can also implement remote monitoring if you have other sites that you want to manage centrally. There isn’t a pre-written reporting module with Zabbix, but you can create your own custom reports and look for report formats written by others on the community forums of the Zabbix website. A weakness in many networking protocols is that they operate at lower levels in the protocol stack, which makes encryption difficult. Zabbix includes an encryption layer, which locks out wiretappers and snoopers and enables monitoring data to securely pass through the network. The encryption system makes authentication procedures available so you can create different permission levels for access to the data available in the dashboard of the network monitor. Zabbix is aimed at small and middle-sized businesses, so if you are just starting out, this free network monitoring solution would be ideal for you. WhatsUp Gold from Ipswitch is very straightforward and it won’t take you much time to learn how to get the most out of the monitoring system. This is a plus for managers of small networks who don’t need the extensive details of events occurring at remote sites. The software will set up its database by itself through an auto-discovery module. This will map all of your nodes and their allocated IP addresses. Ongoing real-time monitoring is performed with SNMP technology. The SNMP trap message enables device agents to notify your central management console of failure conditions. Server and storage performance metrics are included in this monitoring system. Network traffic analysis tools in the software are compatible with NetFlow, sFlow, J-Flow, NSEL, and IPFIX. The dashboard includes red/green color coding of statuses to make alerts and performance issues really easy to spot. You can get alerts sent to you via SMS or email, which enables you to get on with other tasks without neglecting the network’s statuses. A reporting tool enables you to customize reports by specifying which data columns to show and in what order. The monitoring extends out to cloud services. 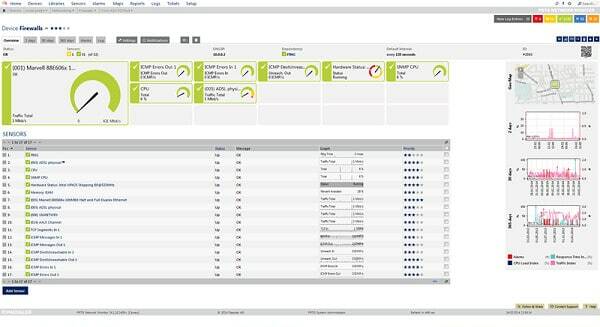 This enables your management team to track the utilization of cloud systems. This supports assessment of value and it can also help you verify invoices from your cloud service provider. You can monitor web application performance with WhatsUp Gold. Typical metrics generated by the system include number of requests, response times, and bandwidth capacity. Another function of WhatsUp Gold that extends beyond network monitoring is its configuration management module. This enables you to back up configurations for network devices. It will monitor for version changes and software installs. This enables you to keep track of all software on the network, including unauthorized installs. If you use virtual terminals, then WhatsUP Gold has got you covered. The monitoring system can interact with Hyper-V/VMWare and map your virtual environment. The monitor can log the usage and load on your virtual machines and identify the traffic that serves the virtual environment. A small business probably just has a single-site network. However, as you expand your business, you might be interested in the remote monitoring and management facilities of WhatsUp Gold. These will enable you to centralize all network administration tasks in one location, cutting out the cost of employing network specialists on each site. You can download a free trial here. The concept of open source software is becoming more common in networking technology. This is because proprietary, closed source systems could cloak malware and so network owners tended to gravitate towards the big software providers such as Microsoft and Cisco. However, larger corporations have been proven on occasion to be not entirely trustworthy. An example of this situation was unearthed during the Edward Snowden revelations into spying by the NSA on American citizens. It was revealed that Microsoft had built a back door into its encryption for Skype, enabling it to provide the NSA with details of private conversations. So, the open source movement is seen as a positive solution to software security. 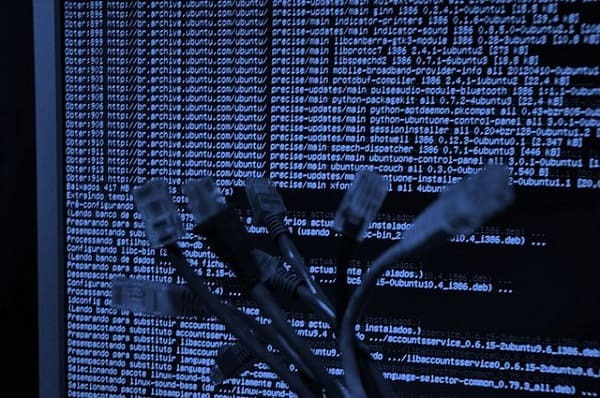 You might think that allowing every hacker in the world access to the source code of network software would give them time to work out how to crack it and break into your network. However, open source software for security-sensitive applications generally includes tried and tested authentication procedures that no one can crack. Essentially, the open source model relies on a thorough approach to security rather than expecting that secrecy will suffice. Open source network monitors can provide small businesses with good entry level access to network management software for free. If you run a small business and you need to start buying monitoring software for your expanding network, then take a look at some of the open source options listed in this guide. If you want a top quality system that will keep monitoring network activity as your business expands, then SolarWinds, OpManager, and Paessler PRTG would probably be your best options. Take a look at the other monitoring systems in our list, such as Dynatrace to discover some unique features that might suit your network monitoring needs better than the leaders of the pack. Selecting LAN monitoring software can be a time-consuming task because there are so many contenders in the market. Thanks to this guide, you can now limit your search to just the top ten LAN monitoring tools.